There is no official measurement of a market bubble, but one could be the speed and force of the rise, a technique borrowed from the physical realm. Dot-com stocks rose 680% from the beginning of 1996 to the end of March 2000. 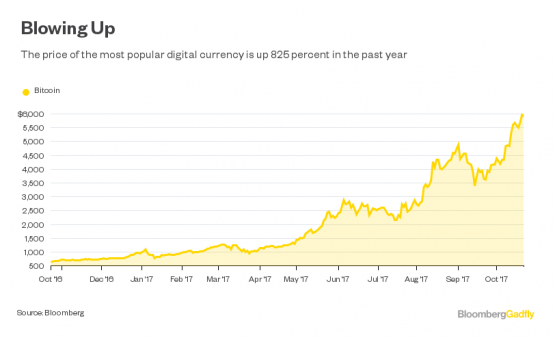 Bitcoin has risen nearly 825% in the past year alone, to about $5 700. In that run, it has added roughly $90 billion in value, crossing above $100 billion for the first time on Friday before dropping back a bit. 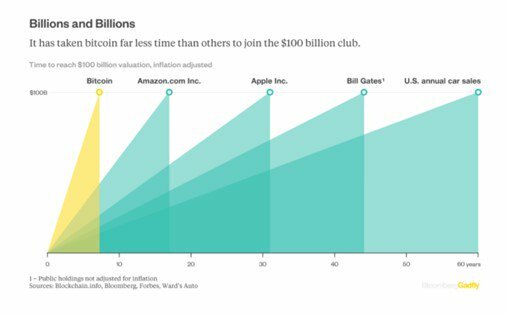 It’s only a matter of time before it becomes a permanent member of the $100 billion club. Bitcoin is now worth more than a number of financial firms that would be its rivals, like American Express Co. ($81 billion) and PayPal Holdings ($84 billion). Still, compared with other asset classes, like real estate or stocks, bitcoin is a pimple, which is why some people have convinced themselves that bitcoin can’t be in a bubble. New York City real estate alone is worth more than $1 trillion. There is $8 trillion worth of gold in the world, nearly $15 trillion in Treasury bonds and more than $25 trillion in the US stock market. Bitcoin’s mere $100 billion, by comparison, is small. But that’s only part of the equation. New York City real estate is worth ten times bitcoin, but it didn’t pass the $100 billion mark, adjusted for inflation, until the late 1970s, or roughly 310 years after the territory was renamed after the Duke of York. US auto sales didn’t reach $100 billion for 60 years. Apple did it in a sprightly 31 years, but that was still four times slower than bitcoin, which clocked in at about seven years. But Apple, unlike bitcoin, produces significant earnings and holds $260 billion in actual cash. 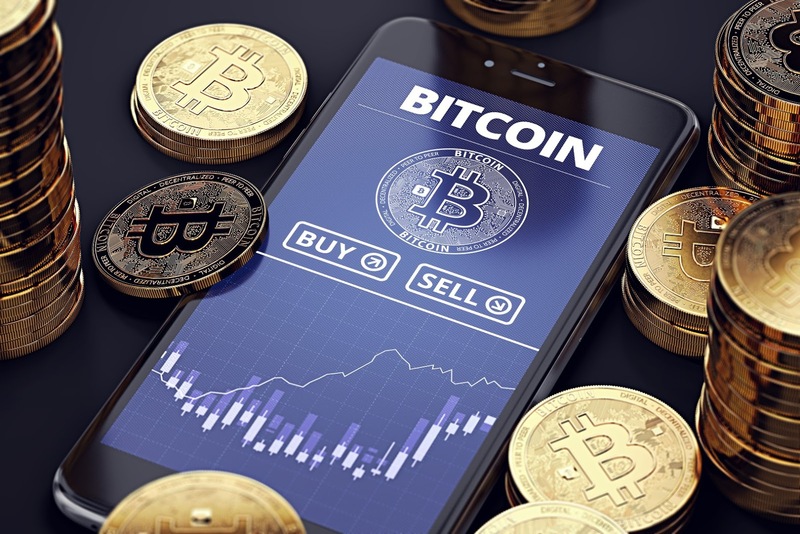 Recently, the bitcoin bubble guessing game has moved to transactions, which now equal $1 billion a day compared with about $150 million in daily transactions in the cryptocurrency a year ago. That gives bitcoin a network value to transaction ratio, or NVT, of roughly 100, which some say is not that unusual if you were to think of it as a price-to-earnings ratio of high-growth tech stock. Netflix and Amazon.com have both been there. But the NVT ratio is more like a price-to-sales ratio. Bitcoin users pay an average fee of 0.1% to complete a transaction, which doesn’t go to bitcoin itself but to the trading platforms. Bitcoin’s fees are on track to hit $365 million a year, which would give it a P/E ratio of nearly 275. And the bitcoin universe has now drawn in investors in so-called initial coin offerings, chip manufacturers and technology investors in general. If the bitcoin bubble does pop, the value of a lot more than just the cryptocurrency could vanish.